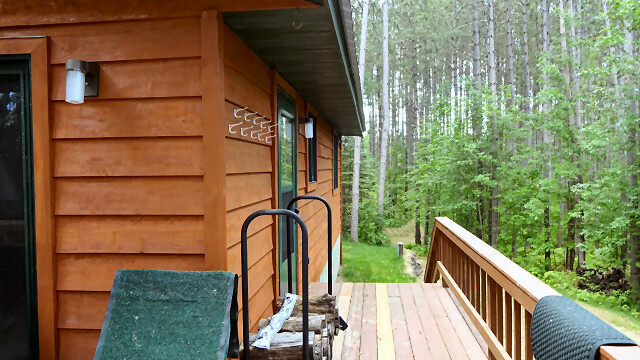 Take advantage of this great price for a newer cedar-sided cabin on the shores of Hunter Lake! Private drive through a heavily-wooded lot. Desirable open floorplan with vaulted wood ceilings in the kitchen/living area and a woodburning fireplace. Two bedrooms at the end of the hallway plus a full bath all on one level. 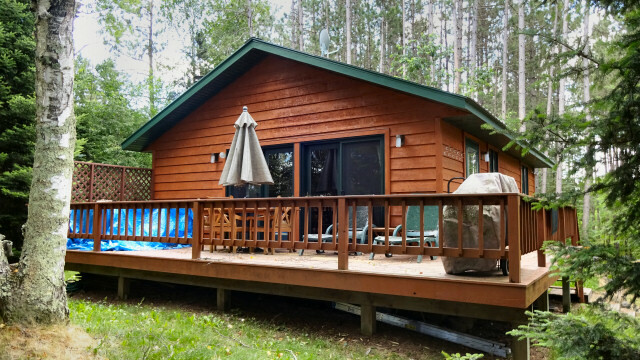 This cabin is used as a 3-season but according to the seller, can be easily converted to a full year-round cabin if so desired. French doors lead to a large wrap-around deck and out to a nicely landscaped yard offering a lot of privacy. There is a sturdy wooden stairway to a level plateau lakeside – and over 160 feet of frontage on this two-lake chain. 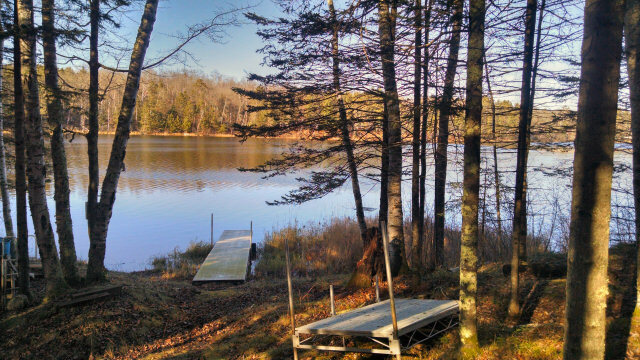 According to the Wisconsin DNR, Hunter Lake is 134 acres in size and approximately 17 feet deep, with stained water. Both Hunter and Barker Lakes are part of the East Fork of the Chippewa River, and each offers scenic boating, plus good walleye, musky and bass fishing. 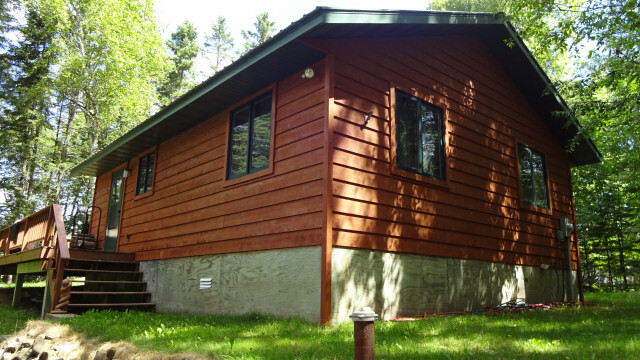 Come and take a look at this stress-free, low-maintenance lake cabin today! 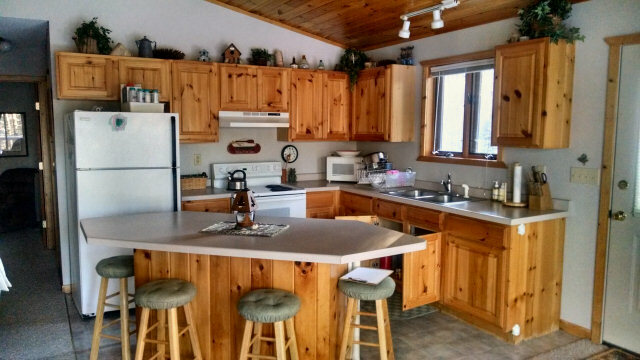 This entry was posted in Cabins For Sale Hayward, FEATURED PROPERTIES, waterfront cabins and tagged hunter lake cabin for sale, hunter lake hayward wi, hunter lake winter wi, lake cabin for sale hayward wi, lake cabin for sale winter wi. Bookmark the permalink.